I bought two Space Saver USB Keyboards from UNICOMP (IBM Model M "clone") and both of them stopped working correctly after a short while. More specifically: whole ranges of keys would just not react anymore or produce two key strokes when pressing the button once. Vigorous hammering of the keyboard solved the problem temporarily. Both keyboards had exactly the same problem. 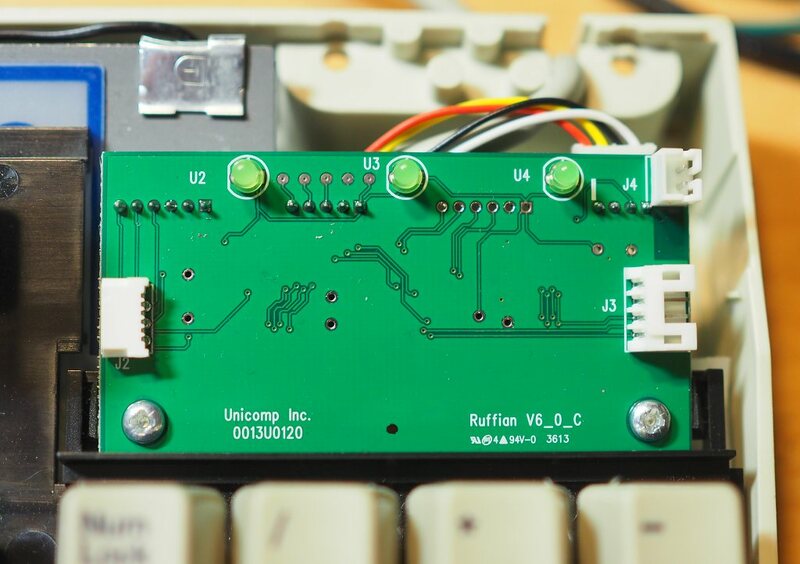 This being said: I do have other keyboards from UNICOMP and never had any problems with them. Of course I waited over two years to complain about it so I would have had to pay for a repair (30$) and also pay shipping to the US which was just not worth the hassle. Here is my solution: Maybe it will be useful for someone else. 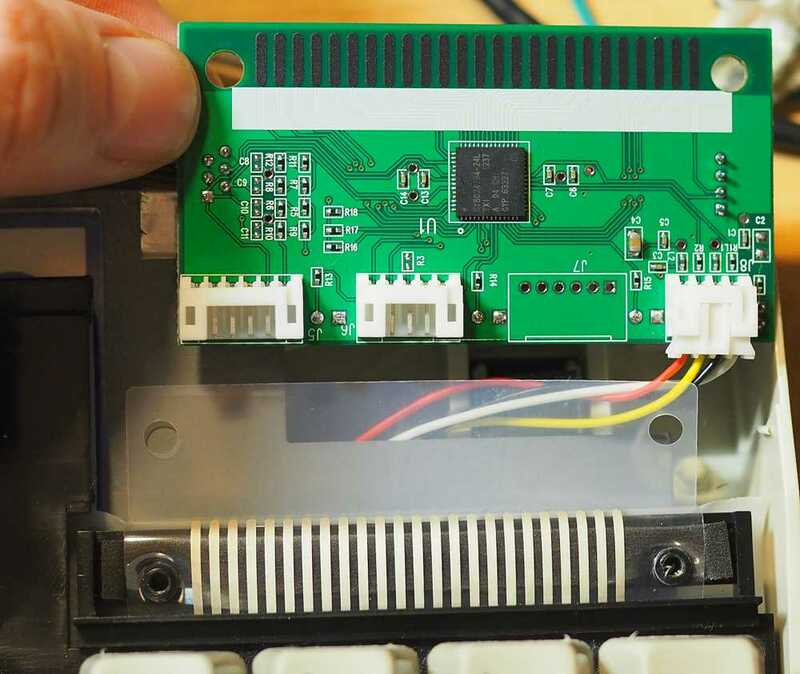 After opening the keyboard (there are four screws on the backside) you can see the electronics board on the upper right. Now you can loosen the two screws holding the board after which it can be lifted up on the top and then pulled out. 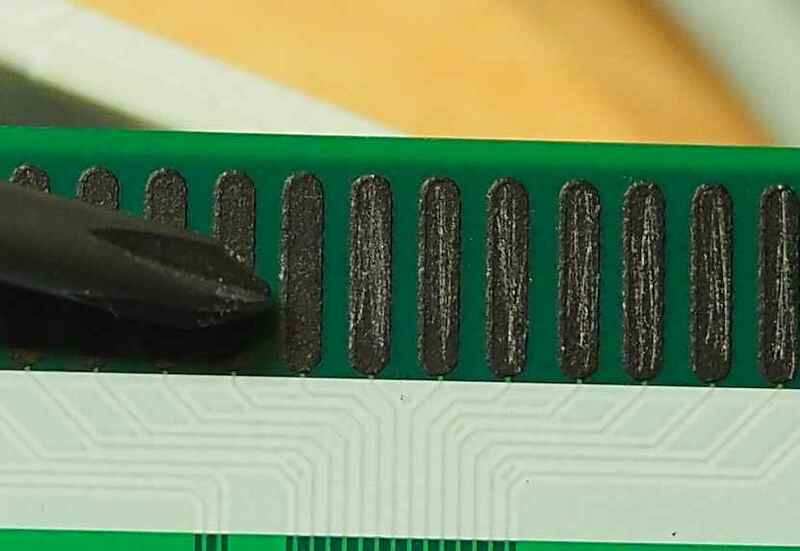 Now we can see how the electronics are connected to the plastic membrane used to detect the key presses. There are (probably?) carbon pads on the board and conducting tracks on the membrane. Both are getting pressed together by the two screws we just removed. My assumption is that the connection between those two parts is somewhat wonky. My (probably pretty horrible) solution was to slightly roughen up the carbon pads on the circuit board by scratching it with a screwdriver. You obviously should be careful while doing that. Update: Well it looks like this only fixed the problem temporarily. Going to look for an alternative solution.